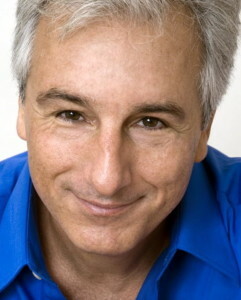 Baron, Marc | The Lambs, Inc.
Marc Baron is an actor, singer, screenwriter, director and producer. He serves on the SAG-AFTRA (NY Board) and has served on the Council of the Episcopal Actors Guild. Marc began performing at the age of 7 and continued expanding his work throughout high school, also working as a director, set builder and writer. His work in high school gained him entry in Pace University because the head of the drama department, Joseph Miranne, lived across from Marc’s high school and knew his work. Marc took a break from his studies and served in the US Navy (in an intelligence branch). He returned to Pace where he met Fred Kelly, Gene’s brother. They became good friends and Fred began mentoring Marc’s career. After that, Marc continued studies at the American Academy of Dramatic Arts, where he met Lewis Hardee. It was Fred and Lewis who sponsored Marc as member in The Lambs in late 1982. Since then Marc has been involved at The Lambs as a performer, producer, director, technician, web master and Associate Editor of our newsletter, The Script; has served on Council for over 17 years, was the Recording Secretary, Corresponding Secretary, and the Boy (for 7 years) before being elected Shepherd. He has had articles published in Newsday and the Journal of Medical Education. He began union service on many committees at Screen Actors Guild, and in 1995 was recognized with its Joseph C. Reilly Award. In 2008 he was elected to the NY Board of SAG, and was involved in the merger of SAG and AFTRA into SAG-AFTRA, continuing service on the new union board and as a convention delegate, and re-elected in 2017 – starting his 10th year of board service. He has been a screenwriter/co-screenwriter on more than a dozen projects, and along with business partner Joe Cirillo, formed the production company, Oroloro Entertainment, which is developing several feature films including the comedy MegaBall$, written by Marc. Marc is proud of his heritage. His mother was born and raised in Vienna, and schooled with Hedy Lamar. His grandfather, Josef Josephu, was a respect sculptor in Vienna who schooled with Egon Schiele at the Vienna Academy of Fine Arts (and who most likely met Gustav Klimt); that was the same year Hitler was rejected by the Academy. His grandfather’s uncle, Viktor Drouot was mayor of the town of Linz and knighted by Emperor Franz Josef. Marc’s grandmother was a budding pianist in Vienna and a 3rd cousin to Gustav Mahler. Marc has been researching his grandfather’s art for many years, locating numerous statues still standing today. During the research he discovered family in Vienna thought dead since 1939 and has enjoyed numerous trips visiting them. He is working on a book about his grandfather and granduncle. Both were sculptors and, at times, rivals. The book is titled Brothers in Stone.